(b. 1972) – documentalist, director, producer; studied at Institute of Aplied Social Sciences at the University of Warsaw; in the years 2005–2013 co-created TVP Kultura as a reporter and editor of live programmes. He was the producer and director of documentaries, among other things for the Institute of National Remembrance (e.g. a five episode series of documentaries on history Kultura niezależna w PRL, 2010), Polish TV, the Adam Mickiewicz Institute, and the National Audiovisual Institute. 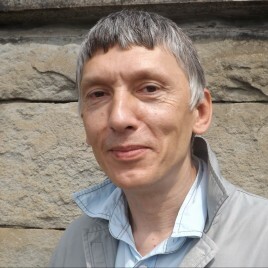 Director and producer of award-winning documentaries: Downtown (2010), Solidarność według kobiet (2014).